"How do I get the audience's attention and keep it?" 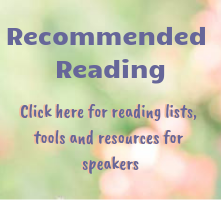 They may say it in slightly different ways, like "I'm afraid of boring the audience," or "I wish I could get the audience excited and motivated to participate," or "How can I make a greater impact on my audience?" In a world where audiences are faced with more distractions than ever (When's lunch? Who's picking up the kids from soccer? I forgot to call the vet. I love her shoes. Oooh, there's a text from my BFF! ), keeping their focus has gotten harder and harder. 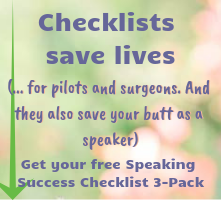 But when you have the skills and know the tricks to keeping your audience's attention... and getting it back again every couple of minutes... your presentations will go from *blah* and *so-so* and *what did he say? * to fun, memorable and thoroughly enjoyable. You want to give the kind of talk where time flies and the audience is disappointed it's over so soon, instead of the kind where they're looking at their watches wondering "How much longer?" But how do you learn these skills? It's not like there's a dedicated public speaking class just focusing on engaging the audience in your neighborhood. 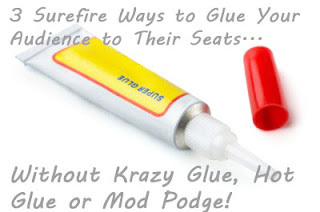 "3 Surefire Ways to Glue Your Audience to Their Seats Without Krazy Glue, Hot Glue or Mod Podge" is my upcoming FREE teleseminar on engaging the audience. You can access the call from the convenience of your home or office. Sure, you can practice all the vocal techniques and hand gestures and you can even write really good content. But if you don't engage your audience, if you don't keep their attention, keep them interested and intrigued, all of that goes out the window. You've just wasted your time - and theirs. * And the #1 thing you can do better to engage your audience from start to finish.